Top 10 panic motivated home sellers are looking for fast exit. They are not looking for market value to sell.They want cash now. 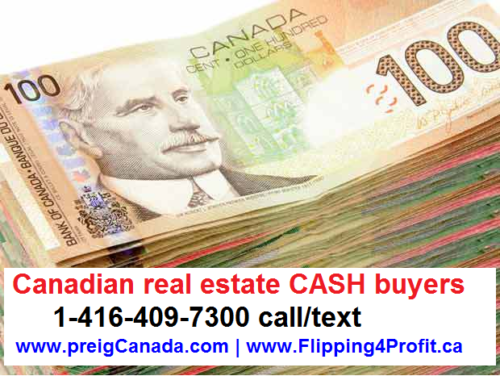 Being a Canadian real estate investor we need to find motivated Canadian home sellers. A homeowner becomes a motivated seller due to circumstances that are beyond their control. In Canada . it is very hard to predict the situation of their job, their marriage and the weather. Since we have a very high rate of divorces, people need to sell their matrimonial home in a hurry. At times it is a very messy situation and none of the partners care about the money, all they want to do is punish each other. A true motivated panic seller is looking for a fast exit in their situation. The number one requirement is cash. The most dreaded requirements are the lack of time and cash, which are working against the panic home seller. This does not leave many options, they must sell their home no matter what. At this point the price is irrelevant, it’s just like a fire sale. They need to exit, they need to get out of the situation even if they have to take a fall or a loss by selling their house. Here are the top 10 panic motivated home sellers list. The top 10 panic motivated sellers are in need of help. Eviction is when a homeowner is asked to leave or is being evicted by the sheriff for the non-payment of mortgage payments. This is where the lender or the bank repossess the property. At that time the homeowner is in a panicked situation and looking for a quick solution. 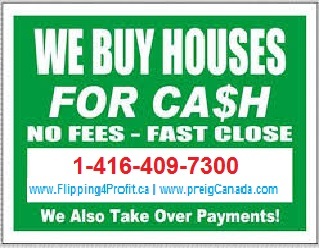 At this time the banks, mortgage brokers, and realtors cannot help them. The only person who can help them are Canadian professional angel investors who know how to deal with this type of situation. When a family is being evicted they need to move into a new place without their belongings. When an eviction takes place in Canada their pets are taken away by the humane society of Canada. Usually the family becomes homeless and they are only allowed to carry very few items. The rest of their belongings can be obtained by giving a 24 hour notice. 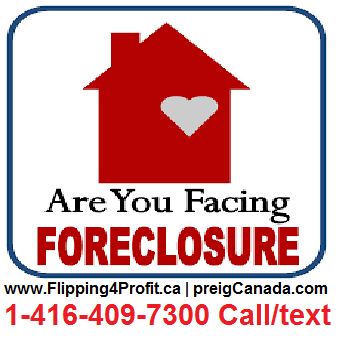 In Canada we have 2 different systems to foreclose a property. In each province the laws are different even though they are all regulated by the Interest Act. 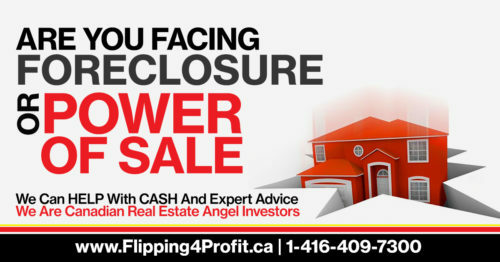 A foreclosure or Power of Sale process gets started once a homeowner is more than 15 days behind their payment. In certain provinces the bank or lender do not have to go to court to start the process. In other provinces everything is a judicial process which means everything has to be processed through the provincial superior courts. One of the nastiest letters a homeowner can receive is a demand letter. This is a letter that tells the homeowner to pay up or they can be sued in a court of law. At this time the homeowner can become a very highly motivate panic home seller. Writ of seizure is a civil enforcement directed by the courts. The ownership is seized by the sheriff and the property will be auctioned off to pay off the debtors. The whole process begins when a homeowner is unable to pay his creditor. They get a judgment from a court and the judgment is imposed by a sheriff or a bailiff. 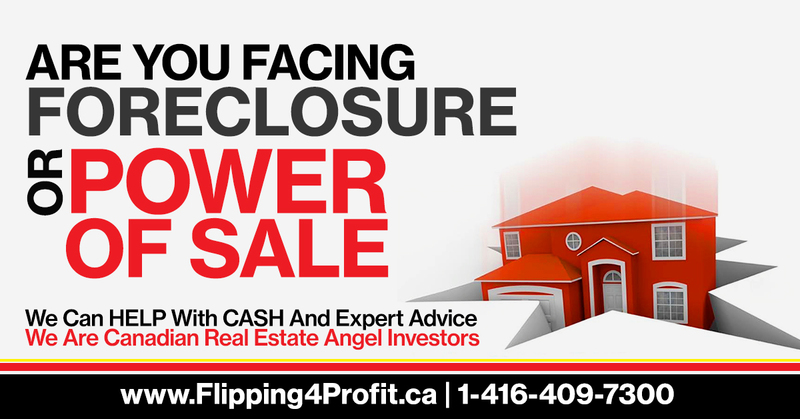 This creates a very panicked situation for the homeowner, where other creditors also become alarmed of the situation. 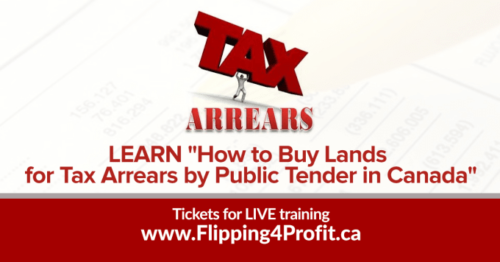 In Canada the law states very clearly if you do not pay property taxes your house can be sold for the amount of taxes owing. In each province the laws may be a bit different but have the same implementation. Generally speaking a homeowner who is behind 3 years of property taxes will have their home sold by the city to recover taxes owing. In some provinces they can sell for only the taxes owed, compared to others where they are seeking current market value. Once a homeowner receives a notice that their house will be sold by an auction or a tender, they hit the panic button. Since the baby boomers are becoming seniors now, upon their death the properties are merely inherited by the next of kin (children or grandchildren). They have to go through the probate process in each province under the Canada Revenue Agency (taxman). The capital gain which can be a huge sum of money has to be paid to the taxman. When somebody inherits a property they also become aware that they must pay a huge amount of taxes. Since they may not have enough cash to pay the taxes, the inherited owner becomes a panic seller. Alcohol, gambling, and drugs are becoming quite the norm in Canada. As a matter of fact Canada is going to legalize smoking Marijuana as of July 1 2018. Now these drug users become addicted, which sometimes requires cash. Even drug dealers, when caught, end up losing all their properties to the police or to the taxman. Grow-op houses as well as meth labs are also becoming a huge issue in Canadian real estate, these are stigmatized properties. The current owner or concerned authority sells these properties pennies on a dollar. In Canada we have Real Estate Booms and Busts. A lot of Canadian get into the habit of speculation and gambling instead of being an investor. When the market turns they want to get rid of all their properties and they become super motivated panic sellers. 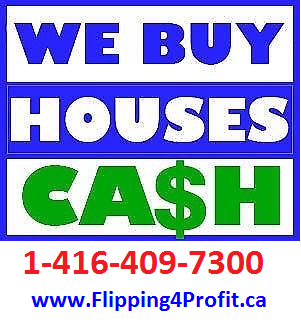 Recently in Toronto after April 20 2017 an average detached house dropped by over $100,000 in value a month. From April to August, these properties lost an average value of $388,000. Some home buyers and sellers get caught during the transition, now they become super motivated panic sellers. They have the option of taking the loss of filing bankruptcy. 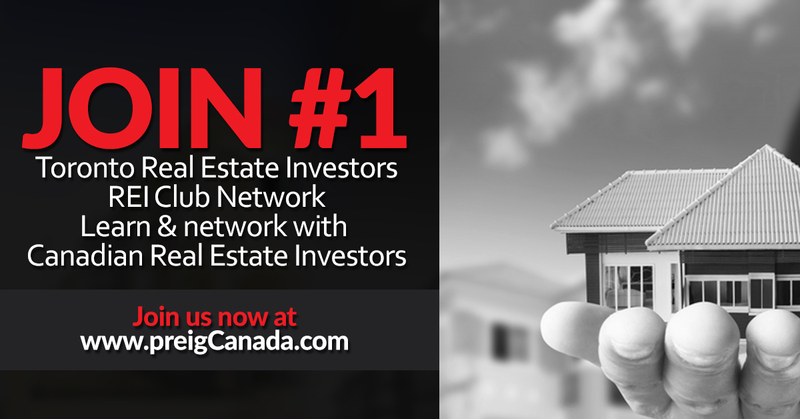 When the Real Estate Market goes up everyone wants to become a real estate investor. Little do they know how difficult it is to become a good landlord. Once they come across a tenant from hell or the market takes a turn they do not want to be a part of real estate. At the same time people who own real estate for a long time become exhausted due to management, maintenance, and the laws. One of the biggest issues they face is the Capital gains. 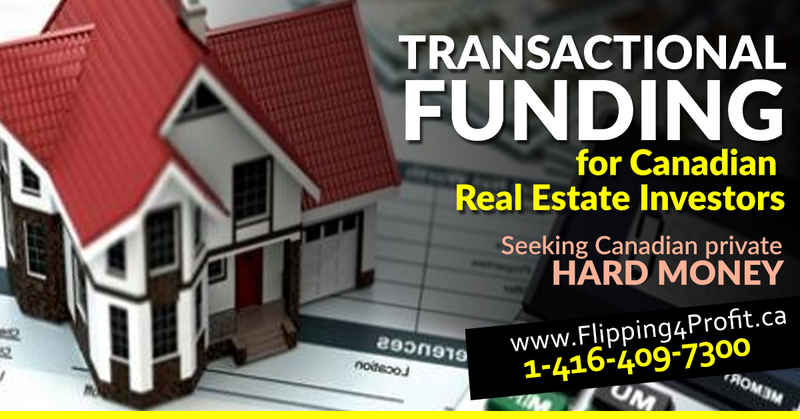 Professional real estate investors have a perfect solutions for these panicked home sellers who are becoming tired. 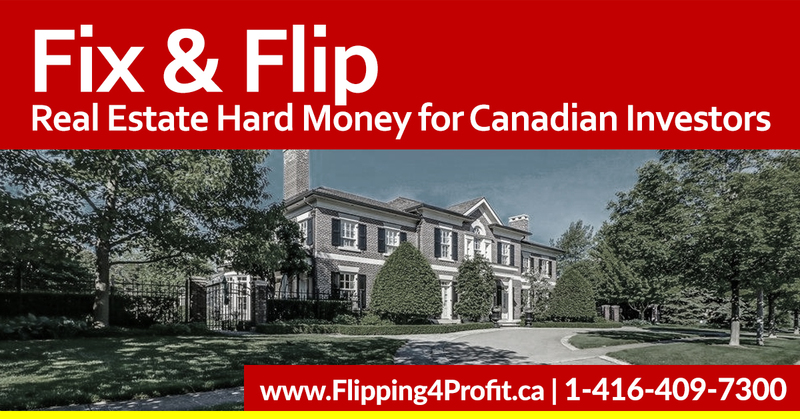 An average house in Canada requires minimum 1% of its value to maintain it to current standards. Roof, windows, kitchens, washrooms, floorings, and furnace have a lifetime of 10-15 years. To replace them requires a fairly good chunk of money. Since 2/3rd of Canadians live paycheck to paycheck, they tend to ignore or forget about maintenance altogether. These properties become outdated and require serious renovation to bring them up to the standard. They’re known as run-down, fixer upper properties. 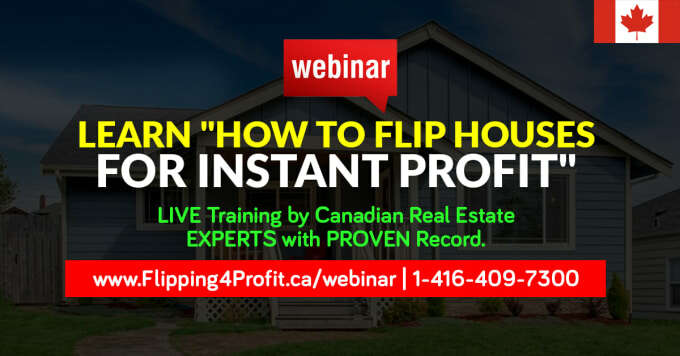 An average home buyer cannot afford to buy them so they become a target for real estate investors who like to fix and flip them for a profit. Loss of a Job, spouse or death can bring financial disaster. In Canada most families have more than 1 breadwinner due to circumstances beyond their control. Things like loss of job, spouse or sickness can cause them to miss or delay payments. They can only sustain up to 6 weeks unless their financial cash flow reverts. Now they become panic home sellers, thus they have a choice to lose the house to the bank or creditor, or sell it at a fire sale. 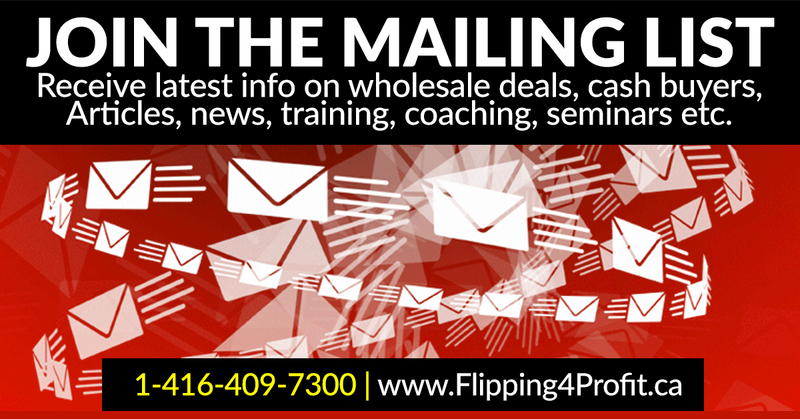 These top 10 panic motivated home sellers list can assist you for quick flips for instant profit. 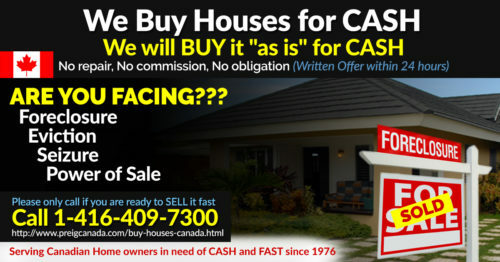 Canadian real estate investors rarely buy any piece of property at market value, they’re always looking for a bargain. 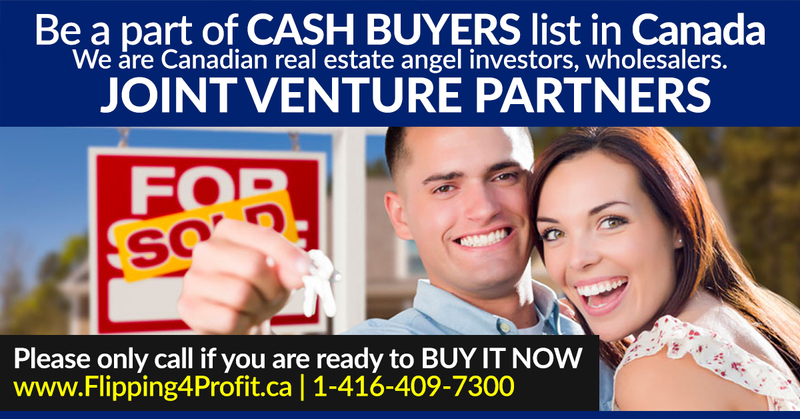 Since they have resources for cash and are able to close a deal in a very short period of time, they are able to bank on these opportunities. There’s a new generation of real estate investors who want to make money today, instead of waiting for 10 – 20 years down the road. Do you need to learn how to become such investors? 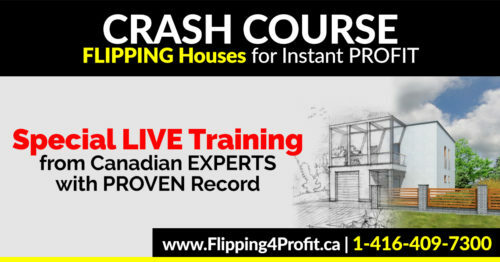 Come and attend the crash course.